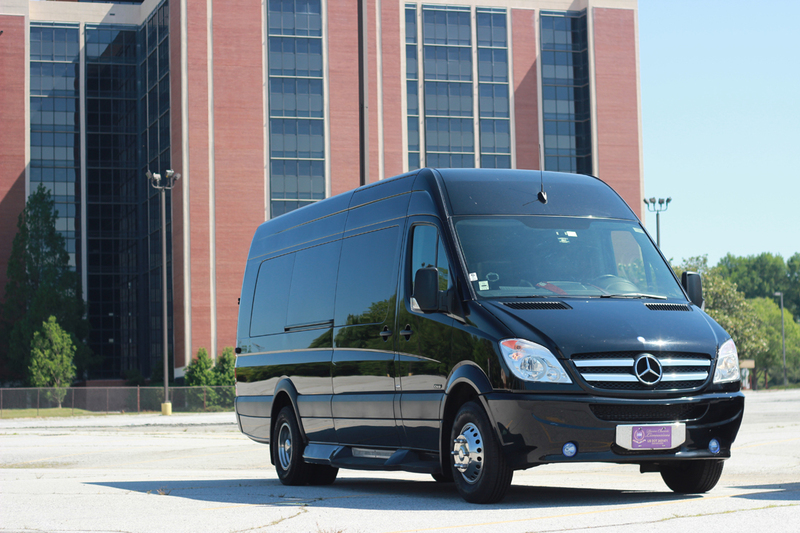 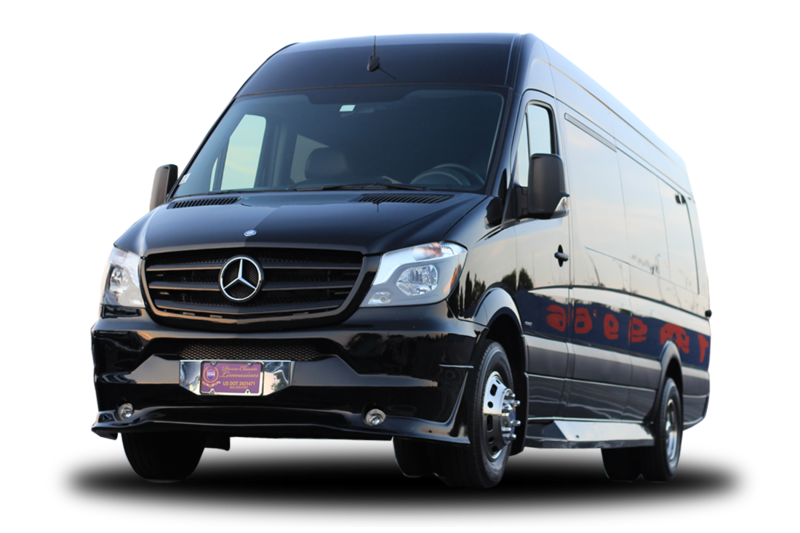 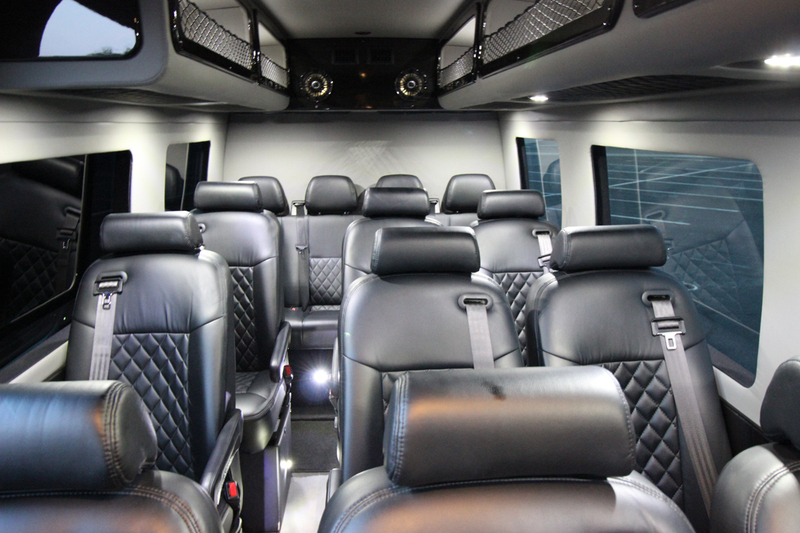 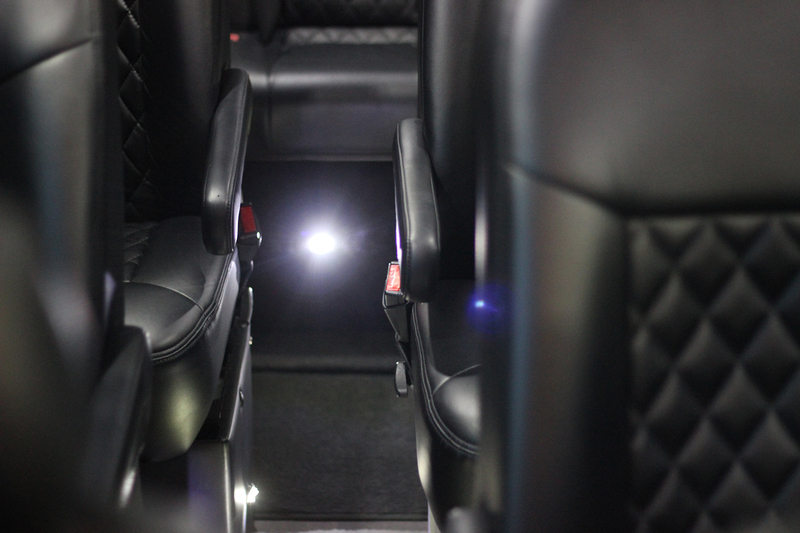 The Mercedes Sprinter is ideal for small groups with 6-14 people. 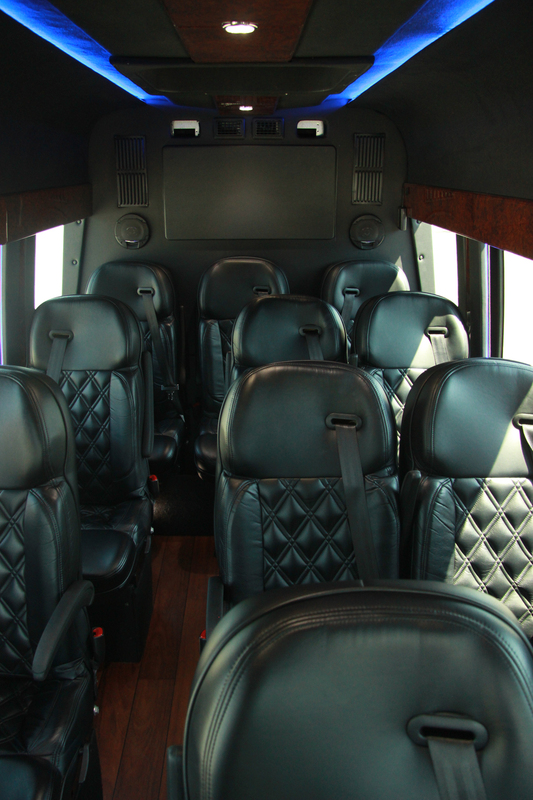 Equipped with comfortable leather chairs, 30 inch TV and surround sound. 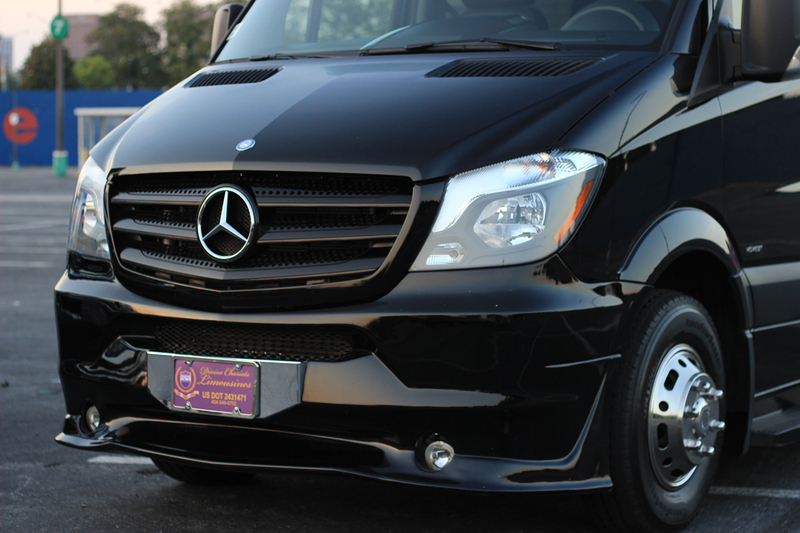 The ride is epic and what you've grown accustomed to expect.